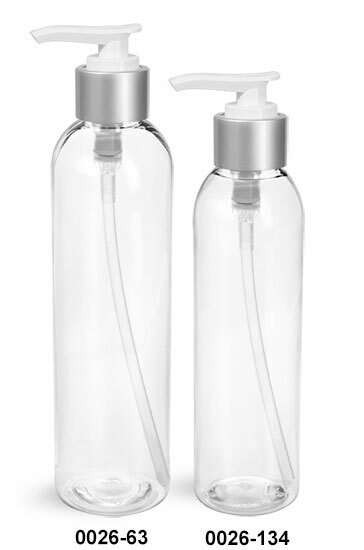 Each clear cosmo round bottle size is paired with .4 ml white treatment pumps or 2 cc white lotion pumps with silver brushed aluminum collars. 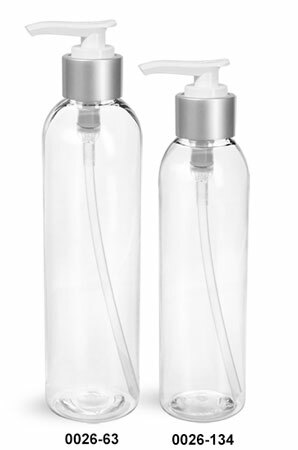 The clear PET plastic bottles allow product to be clearly displayed. 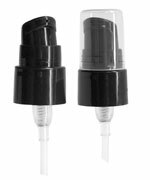 The lotion pumps dispense high viscosity product, making these plastic bottles a possible packaging choice for hand lotion, serums, or other skin care products.